Welcome to episode one hundred and forty nine of The Inspired Women Podcast. In today’s episode your host Megan Hall interviews Val Vigoda. 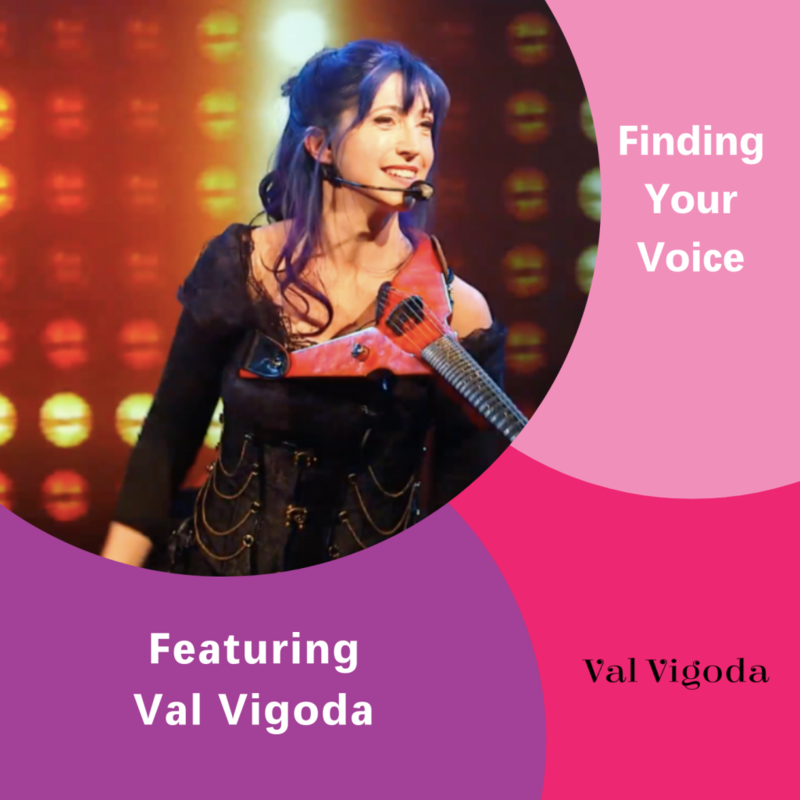 Val Vigoda is a talented musical keynote speaker, award-winning electric violinist and Off-Broadway star. She honed her skills touring the world, co-writing songs for Disney and several stage musical productions. Her work has won several awards. She now performs as a solo-artist in New York with her female empowerment musical, ERNEST SHACKLETON LOVES ME. Val takes the stage presenting her Peak Aliveness Keynote series and workshops for organizations nationwide.